The members of our military sacrifice their lives in many ways, including missing out on their loved ones’ special moments. It’s become a largely, but reluctantly, accepted fact of anyone who has known and loved a person in the armed forces. 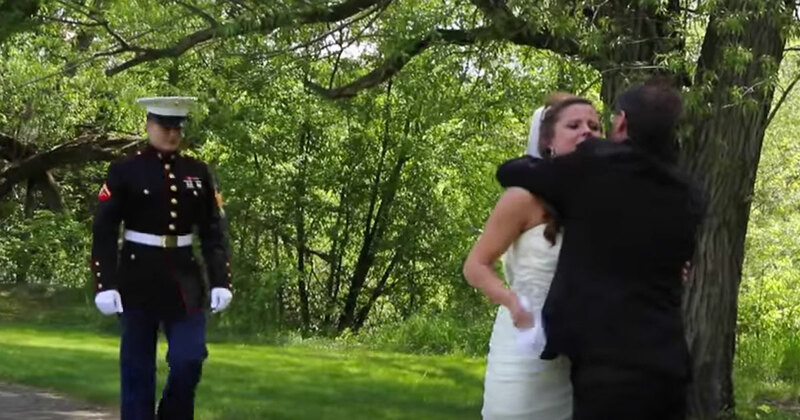 When her sister, Hannah, got married, Lealah Abraham decided to surprise her with a very special wedding gift: she snuck their enlisted brother home in time for the ceremony.